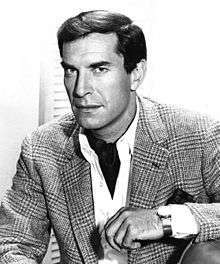 Martin Landau (born June 20, 1928) is an American film and television actor. His career started in the 1950s, with early film appearances including a supporting role in Alfred Hitchcock's North by Northwest (1959). He played regular roles in the television series Mission: Impossible (for which he received several Emmy Award nominations and a Golden Globe Award) and Space: 1999. Landau received the Golden Globe Award for Best Supporting Actor – Motion Picture, as well as his first nomination for the Academy Award for Best Supporting Actor, for his role in Tucker: The Man and His Dream (1988); he received his second Oscar nomination for his appearance in Crimes and Misdemeanors (1989). His performance in the supporting role of Bela Lugosi in Ed Wood (1994) earned him an Academy Award, a Screen Actors Guild Award and a Golden Globe Award. He continues to perform in film and TV and heads the Hollywood branch of the Actors Studio. Landau was born in Brooklyn, New York on June 20, 1928, the son of Selma and Morris Landau. His family was Jewish; his father, an Austrian-born machinist, scrambled to rescue relatives from the Nazis. He attended James Madison High School and the Pratt Institute before finding full-time work as a cartoonist. At the age of 17, Landau started working as a cartoonist for the Daily News, illustrating Billy Rose's column "Pitching Horseshoes" and also assisting Gus Edson on the comic strip The Gumps during the 1940s and 1950s, eventually drawing the "Sunday strip" for Edson. (Some sources confuse him with comic book artist Kenneth Landau, and incorrectly claim that he drew for comic books using the name Ken Landau as a pseudonym.) At 22, he quit the Daily News to concentrate on theater acting. Influenced by Charlie Chaplin and the escapism of the cinema, Landau pursued an acting career. He attended the Actors Studio, becoming good friends with James Dean, and was later in the same class as Steve McQueen. In 1957, he made his Broadway debut in Middle of the Night. In 1959, Landau made his first major film appearance, as Leonard, right-hand man of a criminal mastermind, in Alfred Hitchcock's North by Northwest. He had featured roles in two 1960s epics, Cleopatra and The Greatest Story Ever Told, and played a ruthless killer in the 1965 western Nevada Smith, which starred Steve McQueen. 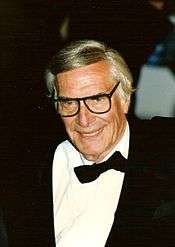 Landau played the role of master of disguise Rollin Hand in the US television series Mission: Impossible, becoming one of its better-known stars. According to The Complete Mission: Impossible Dossier by Patrick J. White (Avon Books, 1991), Landau at first declined to be contracted by the show because he did not want it to interfere with his film career; instead, he was credited for "special guest appearances" during the first season. He became a full-time cast member in the second season, although the studio agreed (at Landau's request) to contract him only on a year-by-year basis rather than the then-standard five years. The role of Hand required Landau to perform a wide range of accents and characters, from dictators to thugs, and several episodes had him playing dual roles—not only Hand's impersonation, but also the person whom Hand is impersonating. Landau co-starred in the series with his then-wife, Barbara Bain. In the mid-1970s, Landau and Bain returned to TV in the British science-fiction series Space: 1999 (first produced by Gerry Anderson in partnership with Sylvia Anderson, and later by Fred Freiberger). Although the series remains a cult classic for its high production values, critical response to Space: 1999 was unenthusiastic during its original run, and it was cancelled after two seasons. Landau himself was critical of the scripts and storylines, especially during the series' second season, but praised the cast and crew. He later wrote forewords to Space: 1999 co-star Barry Morse's theatrical memoir Remember With Advantages (2006) and Jim Smith's critical biography of Tim Burton. Following Space: 1999, Landau appeared in supporting roles in a number of films and TV series, including the TV film The Harlem Globetrotters on Gilligan's Island (1981), which again co-starred Bain (and marked the final time they appeared together on screen). In the late 1980s, Landau made a career comeback, earning an Academy Award nomination for his role in Tucker: The Man and His Dream (1988). This was followed by a second nomination, for 1989's Crimes and Misdemeanors, and later a win, for 1994's Ed Wood (in which he plays Bela Lugosi). Upon accepting the Academy Award for Best Supporting Actor, Landau was visibly frustrated by the orchestra's attempt to cut short his speech; when the music level rose, he pounded his fist on the podium and shouted "No!" He later stated that he had intended to thank Lugosi and dedicate the award to him, and that he was annoyed that he was not being given an opportunity to mention the name of the person he had portrayed. Landau also received a Screen Actors Guild Award, a Golden Globe Award and a Saturn Award for the role, as well as accolades from a number of critics groups. When Landau won the Academy Award, a reporter for the Los Angeles Times announced: "the award goes to Martin Landau; its shadow goes to Bela Lugosi." On the film's DVD release, Landau states that he was highly impressed by the comment. Landau's film roles in the 1990s included a down-on-his-luck Hollywood producer in the comedy Mistress with Robert De Niro and as a judge in the dramas City Hall with Al Pacino and Rounders with Matt Damon. In the early seasons of Without a Trace (2002–09), Landau was nominated for an Emmy Award for his portrayal of the Alzheimer's-afflicted father of FBI Special Agent in Charge Jack Malone, the series' lead character. In 2006, he made a guest appearance in the series Entourage as a washed-up but determined and sympathetic Hollywood producer attempting to relive his glory days, a portrayal that earned him a second Emmy nomination. Landau appeared in the film Have a Little Faith based on Mitch Albom's book of the same name, in which he plays Rabbi Albert Lewis. In recognition of his services to the motion picture industry, Martin Landau has a star on the Hollywood Walk of Fame at 6841 Hollywood Boulevard. Encouraged by his own mentor, Lee Strasberg, Landau has also taught acting. Actors coached by him include Jack Nicholson and Anjelica Huston. In 2009, Landau and his Actors Studio colleagues, director Mark Rydell and writer Lyle Kessler, collaborated to produce the educational Total Picture Seminar, a two-day event covering the disciplines of acting, directing and writing for film. Landau has two daughters, Susan and Juliet, from his marriage to actress and former co-star Barbara Bain. They married on January 31, 1957 and divorced in 1993. Landau lives in West Hollywood, California. 1957 Harbormaster First Mate Episode: "Sanctuary"
1958 Lawman Bob Ford Episode: "The Outcast"
1958 Sugarfoot Jim Kelly Episode: "The Ghost"
1959 The Lawless Years Silva Episode: "Lucky Silva"
The Twilight Zone Dan Hotaling Episode: "Mr. Denton on Doomsday"
Johnny Staccato Jerry Lindstrom Episode: "Murder for Credit"
Tales of Wells Fargo Doc Holliday Episode: "Doc Holliday"
1960 Tate John Chess Episode: "Tigrero"
Johnny Ringo Wes Tymon Episode: "The Derelict"
The Islanders Arnie Episode: "Duel of Strangers"
Adventures in Paradise Sackett Episode: "Nightmare on Nakupa"
Wagon Train Preacher Episode: "The Cathy Eckhart Story"
1961 Adventures in Paradise Miller Episode: "Mr. Flotsam"
Bonanza Emiliano Episode: "The Gift"
The Rifleman Miguel Episode: "The Vaqueros"
The Tall Man Francisco Episode: "Dark Moment"
The Law and Mr. Jones Episode: "Lincoln"
The Detectives Starring Robert Taylor Vince Treynor Episode: "Shadow of His Brother"
1962 The Tall Man Father Gueschim Episode: "The Black Robe"
1963 The Travels of Jaimie McPheeters Cochio Episode: "The Day of the Killer"
Mr. Novak Victor Rand Episode: "Pay the Two Dollars"
The Outer Limits Andro Episode: "The Man Who Was Never Born"
1964 The Defenders Dr. Daniel Orren Episode: "The Secret"
The Greatest Show on Earth Mario de Mona Episode: "The Night the Monkey Died"
The Alfred Hitchcock Hour Lawyer Episode: "Second Verdict"
The Outer Limits Richard Bellero Episode: "The Bellero Shield"
The Twilight Zone Major Ivan Kuchenko Episode: "The Jeopardy Room"
1965 Mr. Novak Robert Coolidge Episode: "Enter a Strange Animal"
A Man Called Shenandoah Jace Miller Episode: "The Locket"
The Big Valley Mariano Montoya Episode: "The Way to Kill a Killer"
1966 Branded Edwin Booth Episode: "This Stage of Fools"
1969 Get Smart Max's new face Episode: "Pheasant Under Glass"
1973 Columbo Identical-twin brothers Dexter Paris and Norman Paris Episode: "Double Shock"
1985 The New Twilight Zone William Cooper-Janes Episode: "The Beacon/One Life, Furnished in Early Poverty"
↑ "Martin Landau". Jewish Virtual Library. ↑ Martin Landau biography. FilmReference.com. ↑ Pfefferman, Naomi. 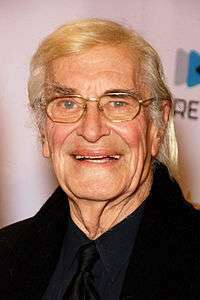 The 'Majestic' Martin Landau. JewishJournal.com. December 21, 2001. ↑ Welsh, Phillips, and Hill, p. 159. ↑ Lindsey, Robert. "Martin Landau Rolls Up in a New Vehicle". The New York Times. 7 August 1988. ↑ TotalFilm video Archived March 6, 2010, at the Wayback Machine. ↑ Awards for Ed Wood. IMDB.com. ↑ www.onlocationvacations.com, retrieved July 1, 2011. Contemporary Theatre, Film, and Television. Detroit, Michigan: Gale Research Co., 1999. Hellmann, Paul T. Historical Gazetteer of the United States. Florence, Kentucky. : Taylor and Francis, 2005. Laufenberg, Norbert. Entertainment Celebrities. Victoria, British Columbia: Trafford, 2005. Riggs, Thomas. Contemporary Theatre, Film and Television. Detroit, Michigan: Gale/Cengage Learning, 2004. Stewart, John. Italian Film: A Who's Who. Jefferson, North Carolina: McFarland, 1994. Welsh, James Michael; Phillips, Gene D.; and Hill, Rodney. The Francis Ford Coppola Encyclopedia. Lanham, Maryland: Scarecrow Press, 2010.
Who's Who in Entertainment. Wilmette, Illinois: Marquis Who's Who, 1989. Willis, John and Monush, Barry. Screen World 2005 Film Annual. New York: Applause, 2006. Wikimedia Commons has media related to Martin Landau.